Mint syrup sounds fancy but is beyond easy to make. Plus, it keeps for more or less ever in the fridge (it's mainly sugar, and sugar is itself a preservative), so there's no pressure to make use of it right away. Of course, it's so tasty and has so many uses, you may not find that you have a lot of leftovers! Mint syrup is simply a basic sugar syrup (i.e. sugar melted in a bit of water) that's been infused with fresh mint leaves. It adds a minty flavor to anything you then choose to add it to. In a small saucepan over medium-high heat, bring 1/2 cup sugar and 1 cup water just to a boil. Add 1/2 cup fresh mint leaves. Reduce the heat to maintain a simmer and cook, without stirring if you can resist it, until the syrup is slightly thickened, about 10 minutes. Transfer the syrup to a small metal bowl and let sit until cooled off a bit, about 10 minutes. You can use it immediately, let it cool to room temperature, or store in the refrigerator for up to six months. There is a major reason a person might consider whipping up a batch of mint syrup, and that's because they're planning on making Mint Julep Cocktails. The syrup adds an extra layer of mint flavor, plus using sugar syrup to sweeten this famously boozy concoction instead of plain sugar ensures that all the sweetness doesn't settle to the bottom of the glass, so there's less stirring to be done. Mint syrup is also handy for making mocktails or "kids' cocktails" for festive occasions and parties—simply add some to taste to sparkling water and garnish with a mint leaf! 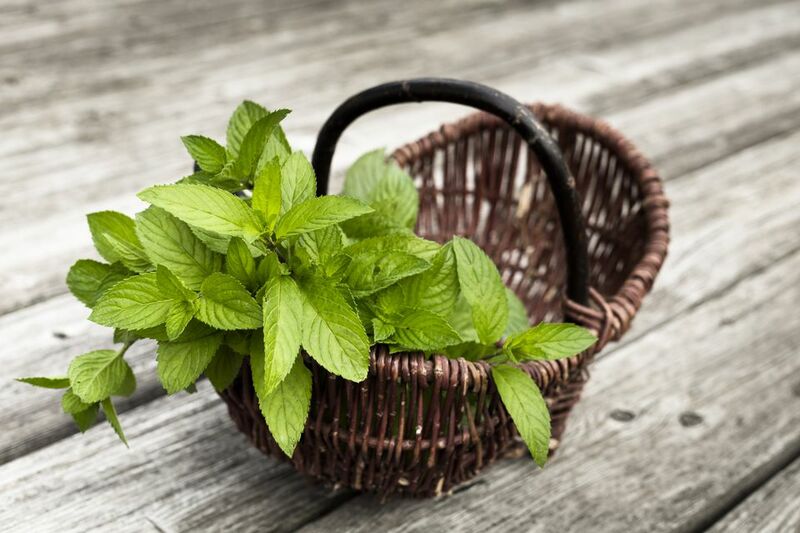 Mint syrup is also useful for stirring in to sweeten and flavor beverages of all sorts. It will doll up humble lemonade, perk up herbal tea, and add zing to fruit punches. Beyond drinks.... drizzle mint syrup over grilled fruit to transform it into more of a dessert. Mint syrup is also tasty over ice cream or frozen yogurt, as well as on a simple piece of not-too-sweet cake. As you might imagine, mint isn't the only thing you can use to flavor a simple sugar syrup. Who would ever regret keeping ginger syrup in the fridge, ready to be stirred into tea? Make it the same way as the mint syrup above, but with 1 tablespoon freshly grated ginger in place of the fresh mint leaves. Ditto to keeping Lemon Syrup, the secret ingredient to amazing lemonade, around the house. As luck would have it, the same method of using some juice and lots of zest for lemon syrup works for making orange, lime, or grapefruit syrup, too. And then there's this Cranberry Syrup, which is lovely to have on hand around the holidays for making cocktails, spritzers, or drizzling on desserts of all sorts.